It's 08:57 in Tustin, USA right now. Several Views Several camera views of the outdoors in Tustin, Michigan. Houghton Lake, Michigan: Houghton Lake Webcam, 39.8 miles away. Gerrish, Michigan: Higgins Lake, 43.7 miles away. Beulah, Michigan: Platte Lake, 48.1 miles away. Fremont, Michigan: Fremont High School, 50.1 miles away. Stanton, Michigan: Montcalm Area ISD, 59.1 miles away. 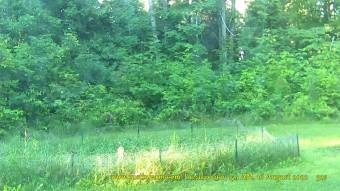 Alger, Michigan: River View Campground & Canoe Livery Moffatt Landing Cam, 66.4 miles away. Ravenna, Michigan: Ravenna Middle School, 67.5 miles away. Central Lake, Michigan: KenCam, 67.5 miles away.